As Scottish people vote today on whether they want Scotland to become independent or stay part of the United Kingdom, I thought I would post this picture I took when I was in Orkney earlier this year. 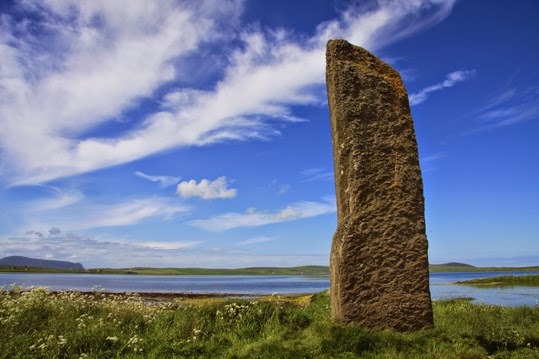 The picture shows an impressive monolith known as the Watchstone, which is on the bank where the Stenness and Harray lochs meet, close to the Standing Stones of Stenness. It is a beautiful place, full of amazing archaeological sites. As much as I love Scotland, I'm not going to give my opinion on how the people of that country should vote today. That is up to them. Whatever is decided, I certainly plan to visit Scotland again in the future.